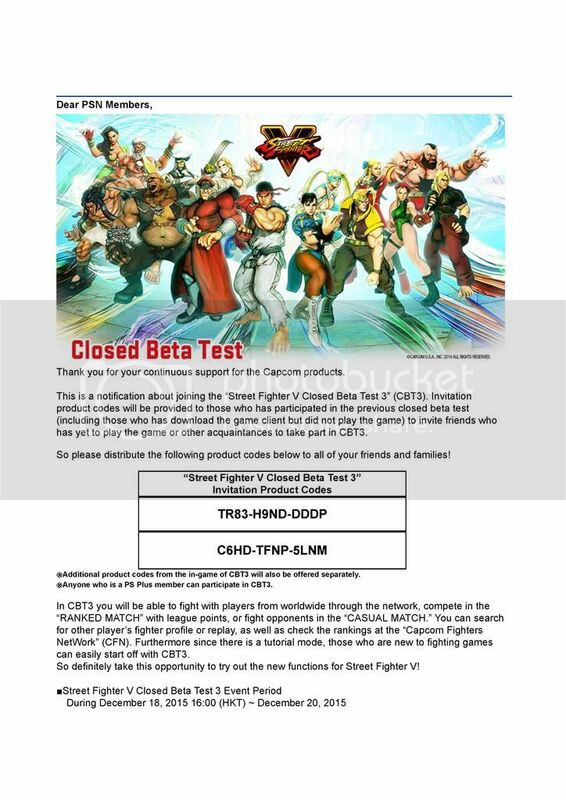 you need to enter the codes given as it is a closed beta test 3.
lolx thanks...i did not get any codes thou, but currently am a psn plus account so can download. You may not have my eyes or smile but from that very first moment, you had my heart. same here.. haven complete yet..
"In the end, we remember NOT the words of our ENEMIES, but the SILENCE of our friendship.."
anyone want the SF5 codes? they send me code to giveaway to family and friends. where do you usually go and buy? ahhhh....same here, currently only on mission 43...are you able to download the MGO data recently? from the start till now cannot download. something about going to PS Store to download. but nothing from PS store sia. hi the value pack promotion 3 games cost abt $94 ... can i get it at bugis sony shop ?